The 787-9 features a spacious wide-body cabin with extra-large windows. The innovative composite airframe will allow Hawaiian to pressurize Dreamliner cabins at a far lower altitude, creating a more comfortable in-cabin atmosphere. Additional features include a quiet cabin, dimmable LED window shades, and larger overhead luggage bins. This modern cabin will provide the perfect setting for Hawaiian’s award winning, authentic hospitality. The Dreamliner’s excellent fuel efficiency makes the 787-9 an ideal choice for Hawaiian’s long-haul Asia/Pacific and North America routes. Hawaiian expects to finalize binding purchase agreements with Boeing and GE in the second quarter of this year. The company will also begin negotiating inclusion of the new aircraft in its contracts with the Air Line Pilots Association and the Association of Flight Attendants, which is required prior to final approval of the purchase by the company’s Board of Directors. 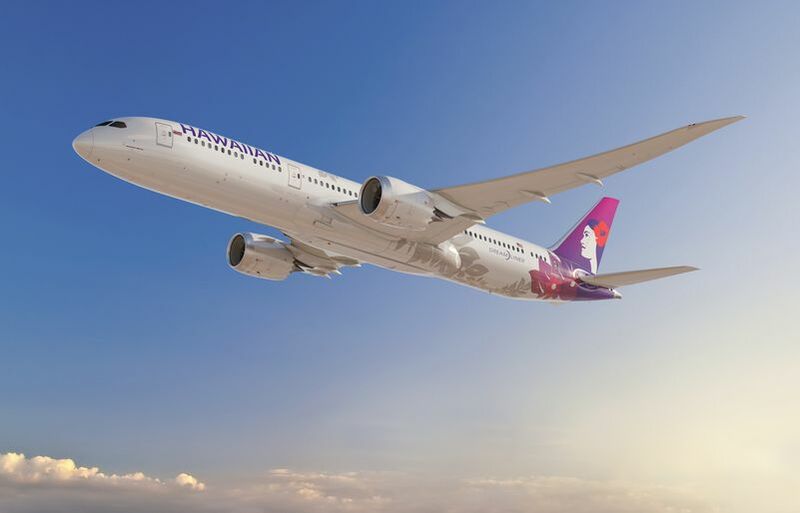 “The Dreamliner combines excellent comfort for our guests with fantastic operational performance and will allow us to continue modernizing our fleet into the next decade,” said Hawaiian Airlines President and CEO Peter Ingram. “It has more seating capacity than Hawaiian’s current wide-body fleet, which will allow us to further build upon our successful growth in Asia."